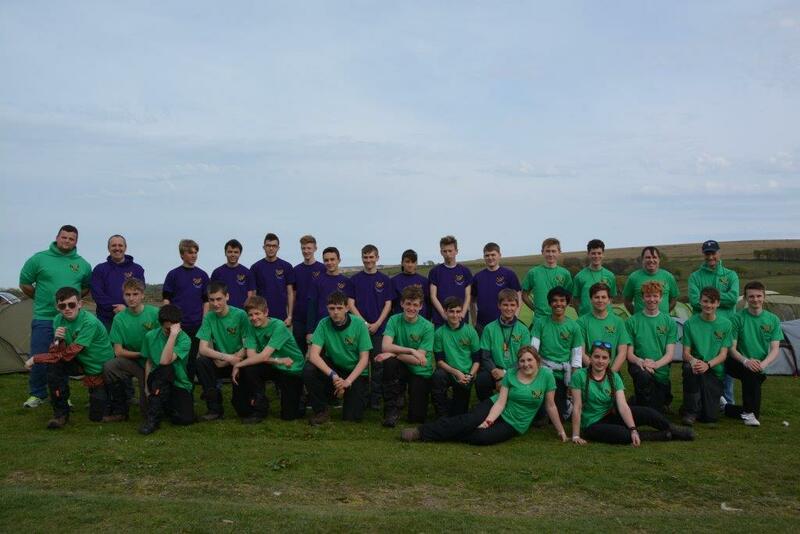 Thirty cadets from Dorset & Wiltshire Wing of the Air Training Corps participated in the Dartmoor Ten Tors Challenge on the weekend of 8th and 9th May 2016. 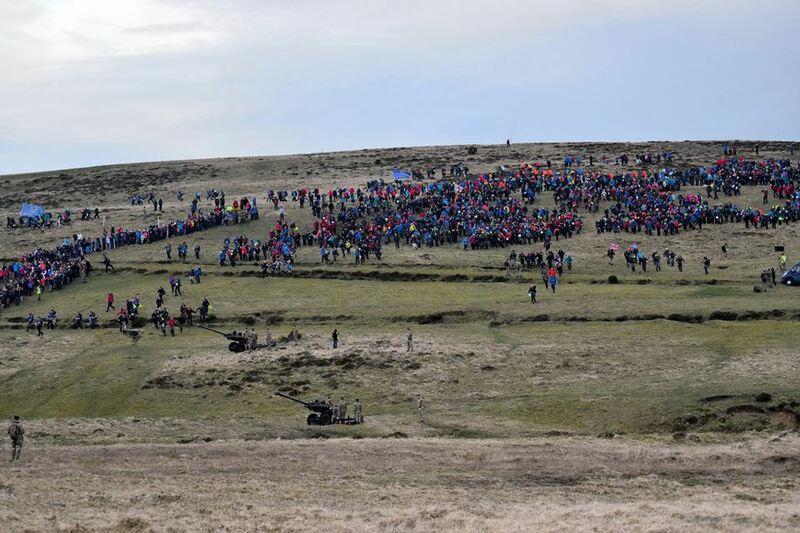 The Ten Tors is a challenge for teams of 6 young people aged between 13 and 19 to walk between ten checkpoints on ten tors over a 35, 45 or 55 mile course over Dartmoor. Each team has to be self-sufficient with only a 36 hour period to complete their allotted route. Entries are limited to 400 teams. Selection for this event began in September 2015 with approximately 120 young people expressing an interest in attempting the challenge. They were invited along to introductory walks in either Dorset or Wiltshire and given a taster of the level of commitment required and the standard they were expected to reach before they would be selected. Training then began in earnest. The Dorset teams based their walks out of Blandford Forum and the Wiltshire team around the Devizes and Swindon area. Each week distances increased and the weight in rucksacks increased. Some struggled but kept going, others fell by the wayside. 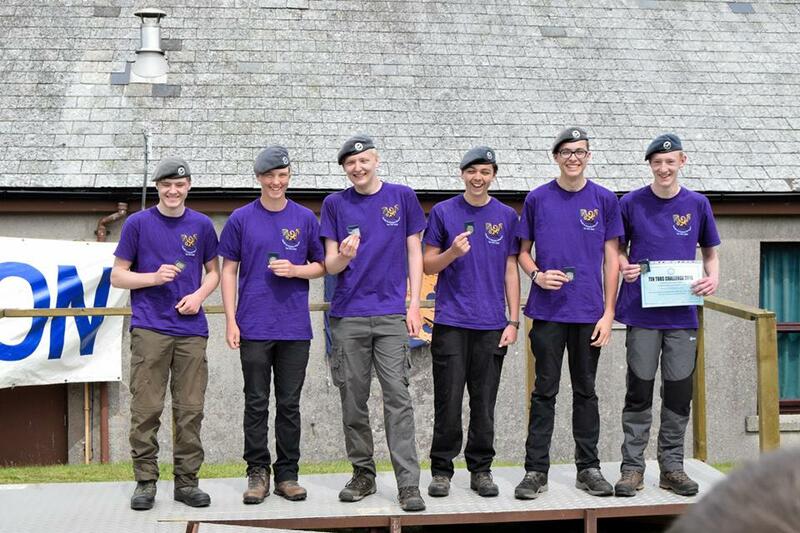 The more resilient cadets realised the challenge was serious and pushed themselves to their limits and beyond. They learned about themselves and being part of a team. The teams learned navigation, camp craft, emergency procedures, nutrition and foot care. By the time the groups were introduced to Dartmoor, they thought they knew themselves. Dartmoor is a special place and almost unique in its beauty. It holds all of the highest peaks in southern England. The weather is notoriously difficult to predict; the terrain is arduous, uneven and often very wet. Four seasons in one day; four seasons in 22 minutes during one walk. These are some of the reasons why it’s a training area for the UK’s Royal Marines and the reason Ten Tors is considered the most difficult challenge for teenagers in the UK. It is on Dartmoor where teams really start to learn whether they and their equipment are up to the standard expected. 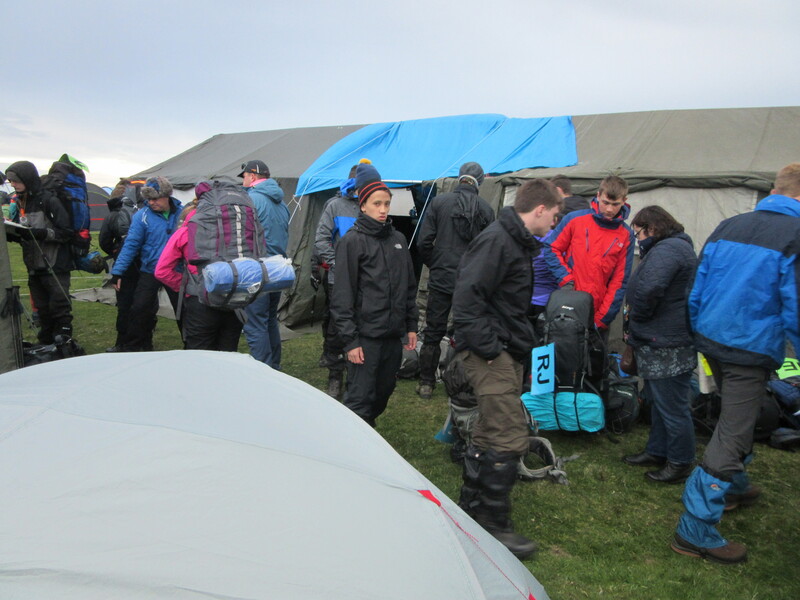 Thanks to the support of the Ulysses Trust and underwritten by the RAF Charitable Trust, all team members were provided with equipment they needed ensuring that regardless of the weather, they were as comfortable as possible on the moor and could focus on looking after themselves and each other in very challenging weather conditions. By the beginning of May, it had been worth it. Thirty cadets had made the teams. On Saturday 7th May, the teams – two 45 mile teams, RJ and QM, (the first letter is the route and the second their designated letter on that route) and three 35 mile teams, MA, NE and NO – lined up with 395 other teams waiting for the starting gun at 7am. Before the smoke cleared, 2,400 teenagers headed off on their challenge. It was just left for staff to pack up the overnight camp and wait for news of each team’s progress. By sunset on Saturday, all the teams had made excellent progress. The weather had been kind. The sun shone occasionally accompanied by a stiff breeze to keep competitors cool. Competitors had to drink lots and keep an eye on each other to avoid dehydration. Injury still claimed three competitors with a fourth withdrawing voluntarily. Two had been withdrawn by the medical staff despite them wanting to continue while the third knew he could not complete after sustaining an injury which he knew would not stop him completing the event but he knew it was slowing him and the team down. He knew that if he had continued, he would have jeopardised their chances of completing the challenge successfully. He made the unenviable decision to put the team before self. Supporters for all the teams arrived throughout the weekend. These were parents and staff who helped with the training and supported the teams over the last six months. They were there to meet the teams as they crossed the finish. All five teams arrived home completing the challenge successfully. MA first followed by QM, the first 45 mile and full team. Then NO, also complete, followed closely by RJ and finally NE at 1530hrs. Each team completed their routes successfully, proud of their achievements. They each received medals for this. What is immeasurable is how much each gained, grew and matured as individuals and learned about themselves and their limits during this six month journey just to be at the start and competing in such a strenuous event.